During the Darmstadt Summer Course 2018, composer Martin Iddon and tubist Jack Adler-McKean will offer a workshop for composers interested in writing etudes (without electronics, maximum five minutes) for solo tuba. New pieces will be workshopped, followed by a small concert presenting several of the resulting works alongside premieres of works from composers including Mark Andre, Georges Aperghis and Christian Mason. Selected works also have the opportunity to be later published in the Contemporary Tuba Series by Edition Gravis, and presented in connection with the upcoming publication The Techniques of Tuba Playing / Die Spieltechnik Tuba by Bärenreiter. 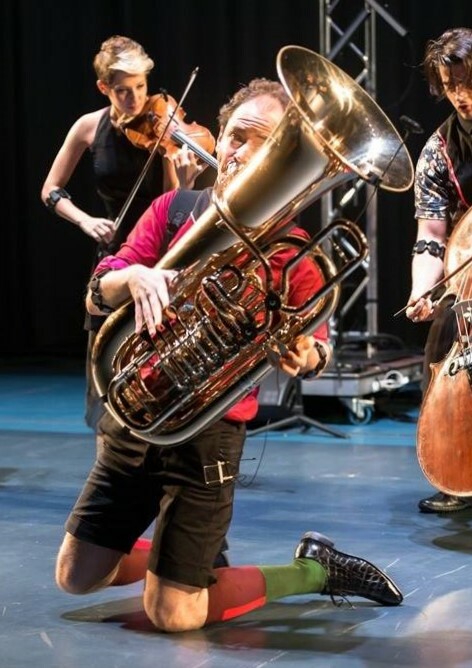 Composers enrolled for the Darmstadt Summer Course are invited to submit a short piece for solo tuba (without electronics). They may be fully complete or advanced sketches for completion during the course. No techniques or preparations which damage instruments will be accepted. Pieces that have already been performed are also welcome. Composers must be fully present during the workshop (two three-hour sessions; additional one-to-one sessions can be arranged individually). Other participants are also invited to attend the working sessions. The selection of works will be made by the tutors by 1 July 2018.